I'm still giddy about it. 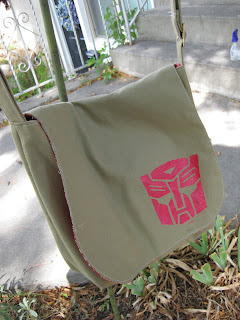 I think it would be cute with a little rick rack around the edge of the pocket too. 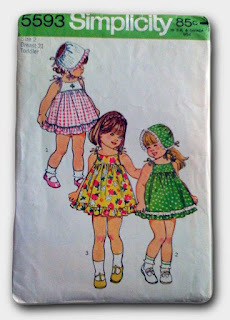 The dress is from this darling vintage pattern found in a bag full of patterns for a buck at a thrift store. Yep, THRIFT store. Love it! You know, sometimes I think, "I don't really sew. I just collect patterns." But when they're THIS cute, and THAT cheap, how could I resist. That's what I told my husband anyway. 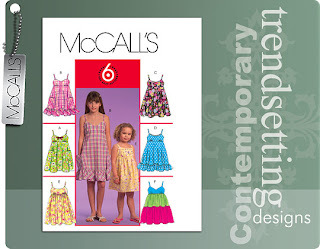 If you want one too, McCalls has a similar pattern (M5649) and if I remember right they're on sale at Jo Ann's next weekend. 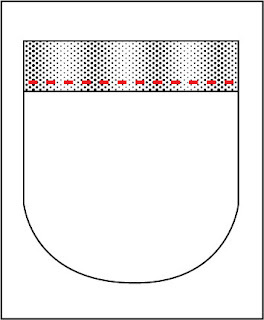 Here is the pattern I made for the little pocket. 1. Cut out the pocket and a strip of fabric 2 inches by 18 inches. 2. Fold down the top pocket edge 1/4 inch to the back. Then fold it over another 3/4 inch to enclose the raw edge on the backside of the pocket. Stitch close to bottom edge of fold. 3. 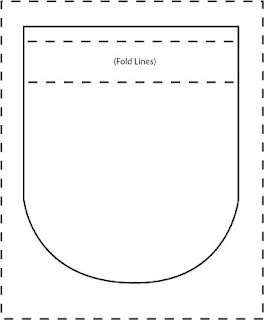 Fold over one long side of the strip 1/4 inch and then fold it over again 1/4 inch to enclose the raw edge. Stitch along edge of fold. 4. Repeat Step 3 for both of the short ends of the strip. 5. Using a LONG stitch length, sew 1/4 inch from the raw strip edge and then AGAIN 3/8 inch from the raw edge. 6. Pin both ends of the strip to the pocket keeping right sides together and raw edges even. 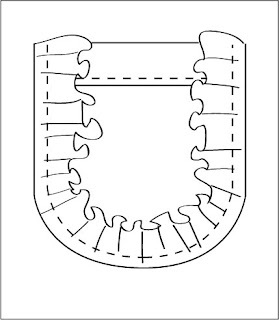 Pin the middle of the strip to the bottom middle of the pocket again keeping right sides together and raw edges even. Pull up long stitches to gather the strip so that it is the same length as the pocket edge. 7. Stitch together about 1/2 inch from the raw edges. 8. 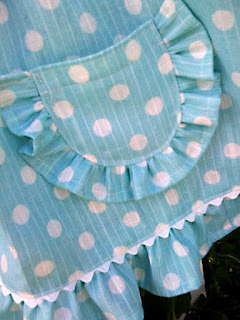 Fold ruffle out and pin pocket to dress. Stitch along edge of pocket to secure to dress. I don't know how I missed this post! 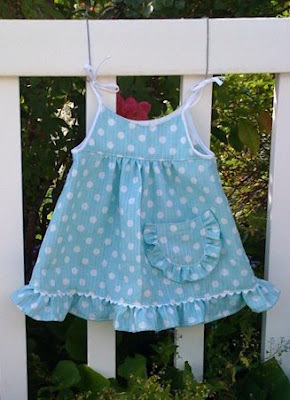 I always LOVED that fabric - I love blue and polka dots! 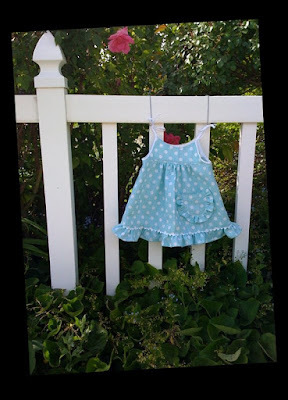 I couldn't dream of a better use for it than the sweet sundress you made. It is so cute!!! Great job and I am glad you are getting use out of the fabric. Woohoo!